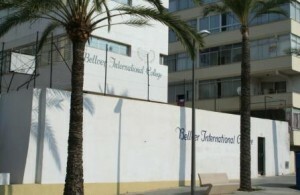 Bellver International College founded in 1950 is a non-denominational, co-educational day school, authorised by both the British Department for Education and the Spanish Ministry of Education. The modern premises include two laboratories, gymnasium, hall, library, art and Information Technology rooms. Close to the beach, the college is situated in a residential area 3 km from Palma. Bellver adopts a combined pragmatic and academic philosophy which encourages its pupils to participate in a wide spectrum of academic studies, varied learning experiences and individual programmes of achievement. Although the language of instruction is English, most pupils become English/Spanish bilingual. French, German and Catalán are also offered. An examination centre for the Universities of Cambridge and London, a British style tuition prepares pupils for I.G.C.S.E. (15 subjects), A.I.C.E. (15 subjects) and A Level. Spain’s Baccalaureate and University entrance exams can also be taken. Results have been very pleasing at all levels and 98% of students go to universities of Spain, Europe or America. A low staff turnover and a preponderance of personnel permanently settled in Mallorca create a coherent, well-established atmosphere. Varied extra curriculum activities are offered. A special programme is offered for students with a low level of English. A sports complex is hired for our requirements in sports and athletics and a lunch service is available. We provide opportunities in a friendly environment for intellectual, social and physical growth. Pupils achieve full personal potential and are prepared for all aspects of life and for the challenges of the world. Bellver’s motto is Learn, Achieve, Enjoy. Bellver was granted the prestigious University of Cambridge International Fellowship Centre award in 2002 and is the only school in Spain with this recognition.